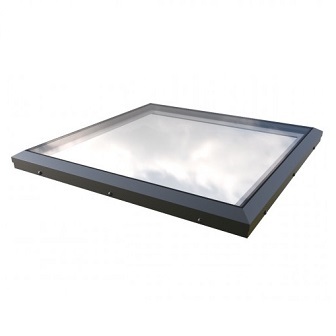 Featuring an ultra-modern flat glass design Mardome Glass is a thermally efficient double glazed rooflight featuring a silver anodised aluminium frame which combines to deliver high end design with the very best standards in security and safety. A selection of options are available through the Mardome Hi-Lights collection with a wider range of options available through special order. The white PVC kerb is thermally insulating and all cabling is enclosed within on mains powered opening units. The robust kerb has an integral clamp to help hold roofing membrane in place for a tidy roof covering finish.